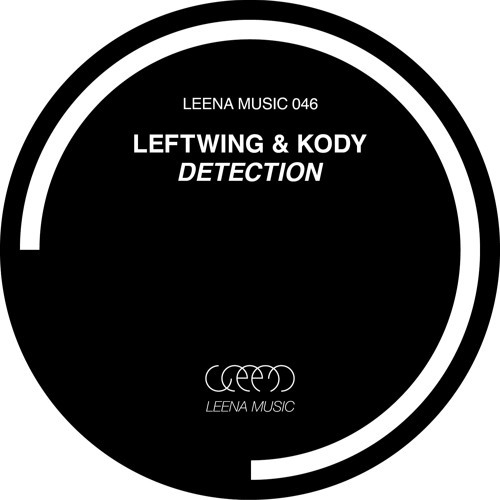 Today we have a new three track EP from UK duo Leftwing & Kody called ‘Detection’ out on Leena music, the sister label to Anja Schneider’s Mobilee Records. We’ve written about Leftwing & Kody at length (including their Off Recordings EP ‘I Know‘). They have a long history of releases on Anjunadeep, Lapsus Music, Suara, and their own label Lost Recordings. ‘Detection’ is quite a different sound in our opinion, one that we would expect to find on a label like Crosstown Records. But each track has its fill of techy goodness. The title track ‘Detection’ revolves around a vocal loop and funky synth bassline with a typical side-stepping tech house beat backing the track. Our clear favorite. ‘Indigo Child’ follows a similar style, with a repetitive vocal loop and intricate percussion. ‘Intuition’ is last, and we can sense some classic Green Velvet influences in this one. A nice tech stomper. Leftwing & Kody ‘Detection’ EP is out NOW on Leena Music!